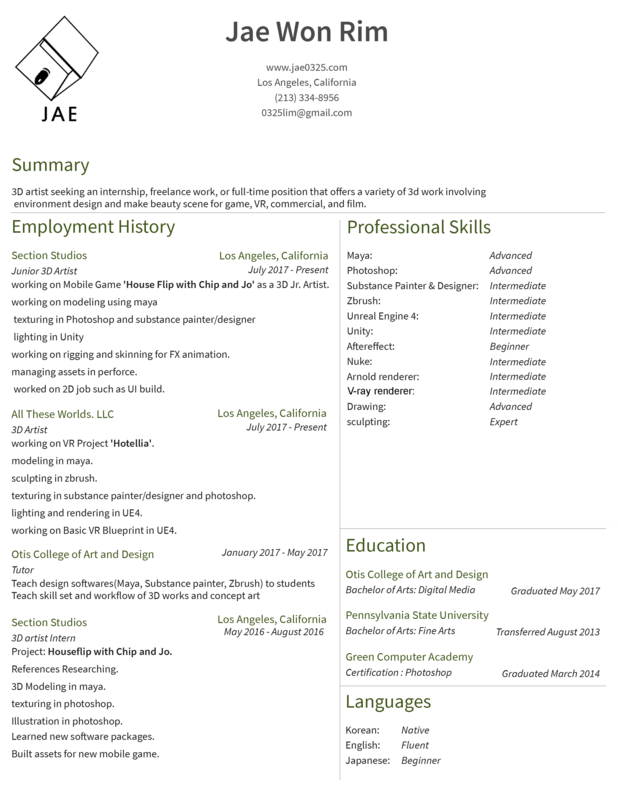 I am a LA based junior - mid level 3D generalist / 3D artist. I studied digital media in Otis College of Art and Design. I worked in game and VR industry for about 2 years as a 3D artist. I am familiar with CG/VFX work pipeline and Game/VR pipeline. I am highly passionate with beauty shots and cinematic scenes.